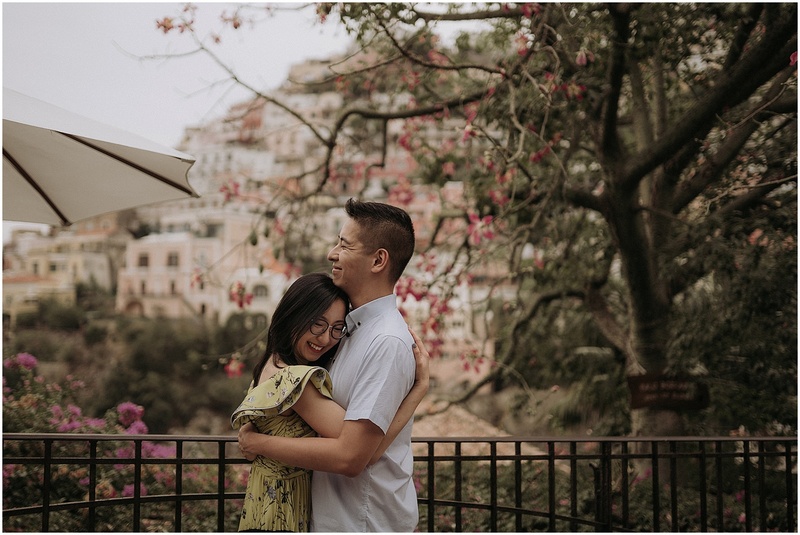 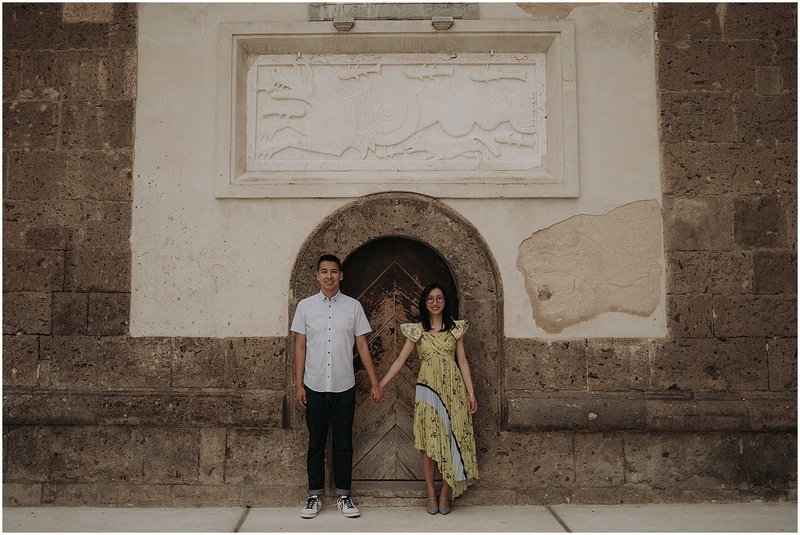 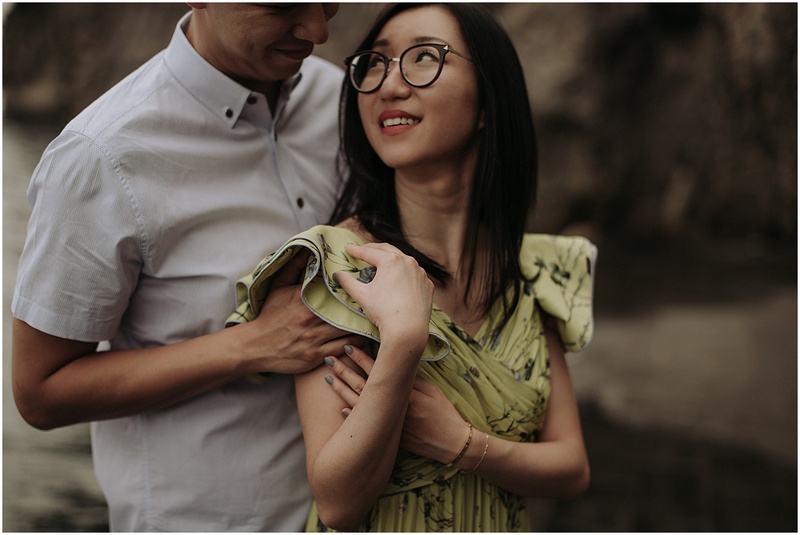 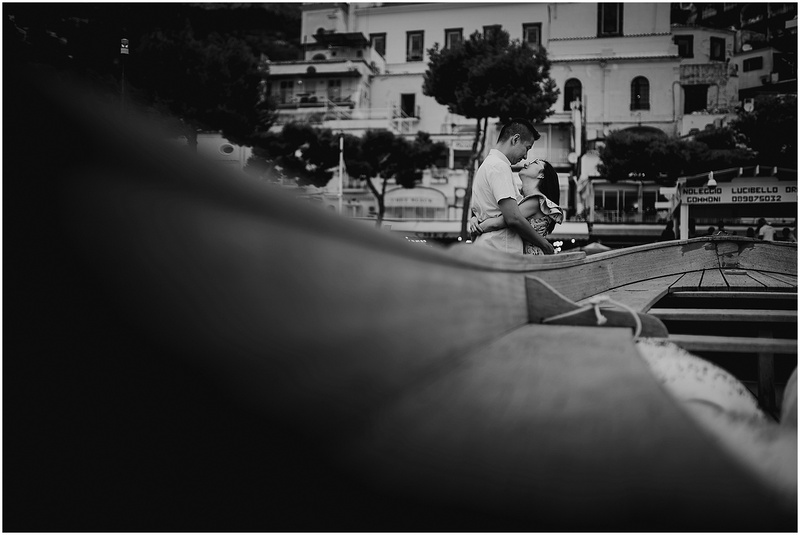 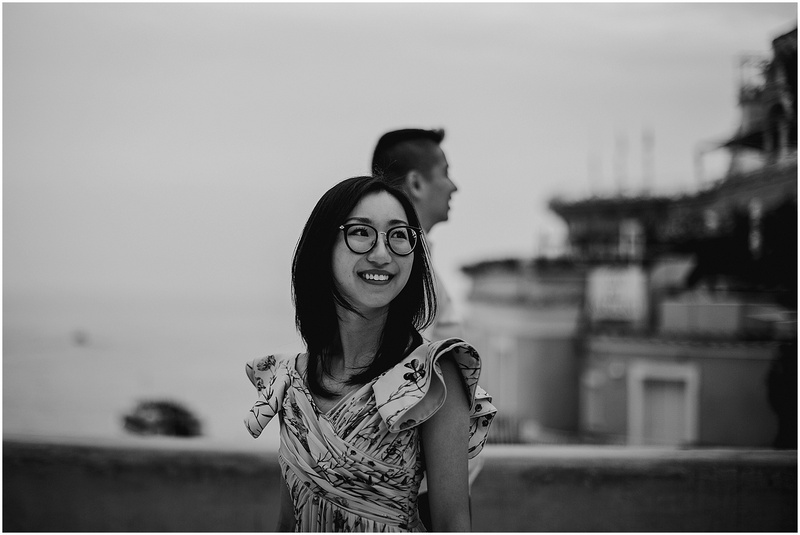 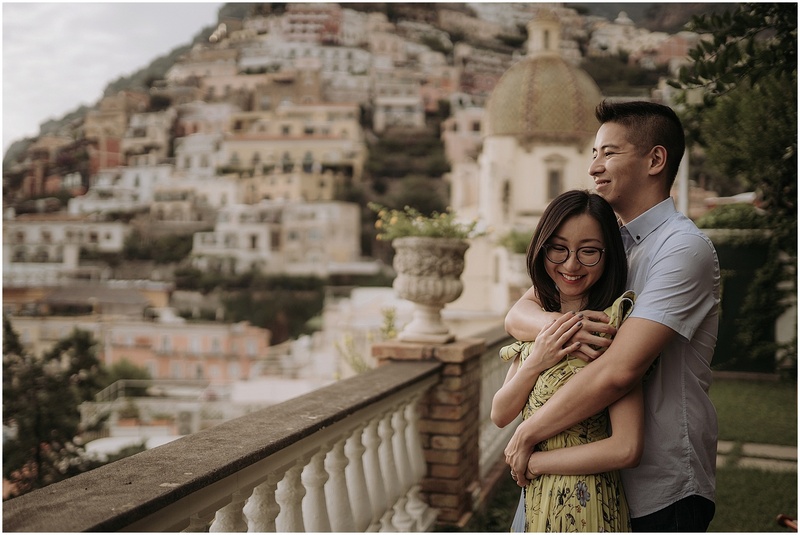 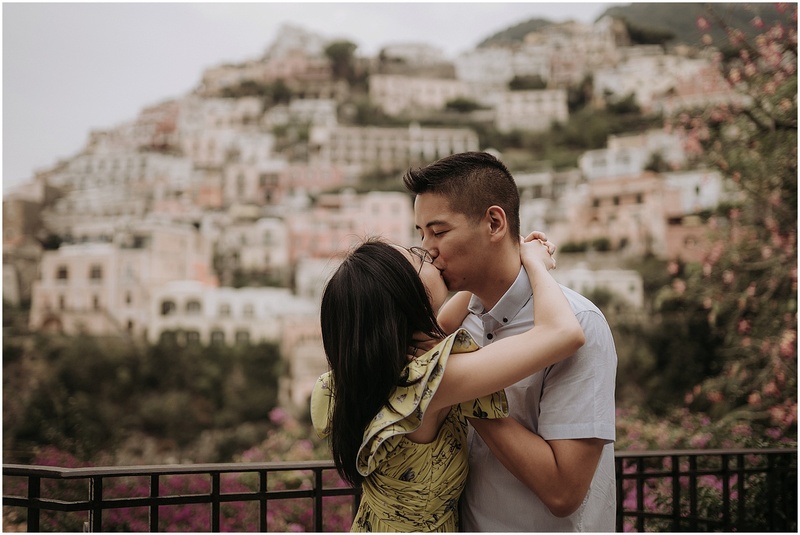 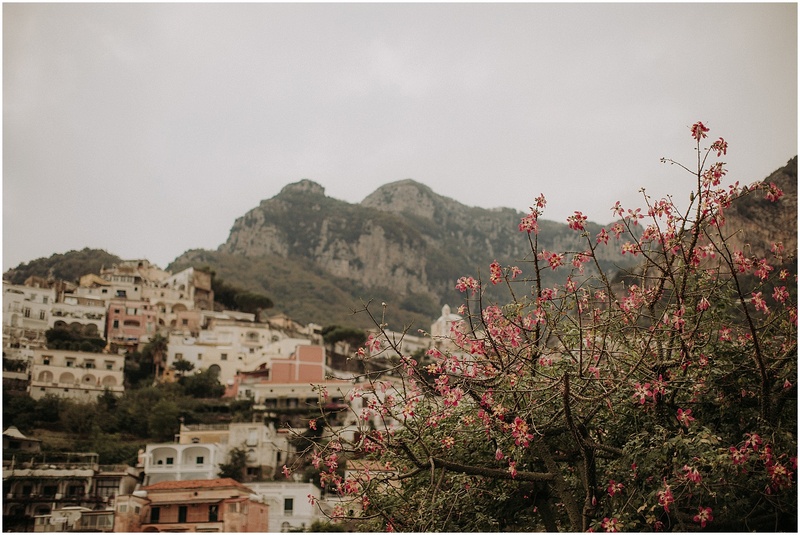 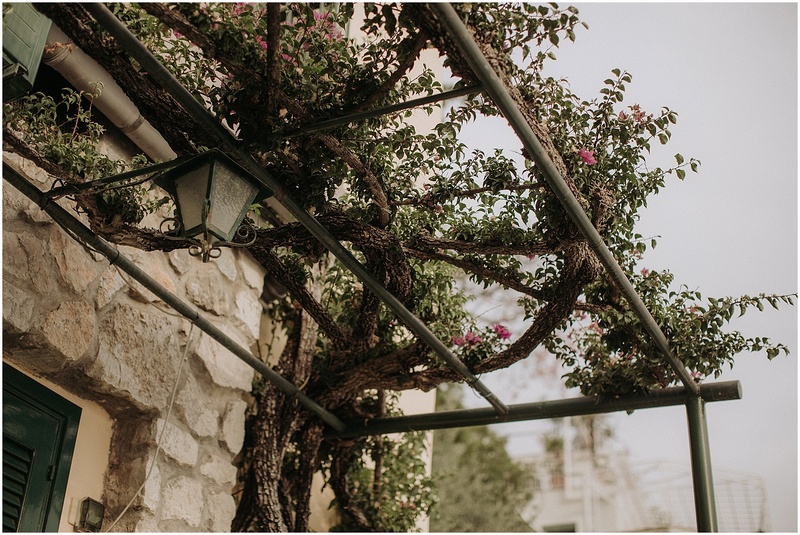 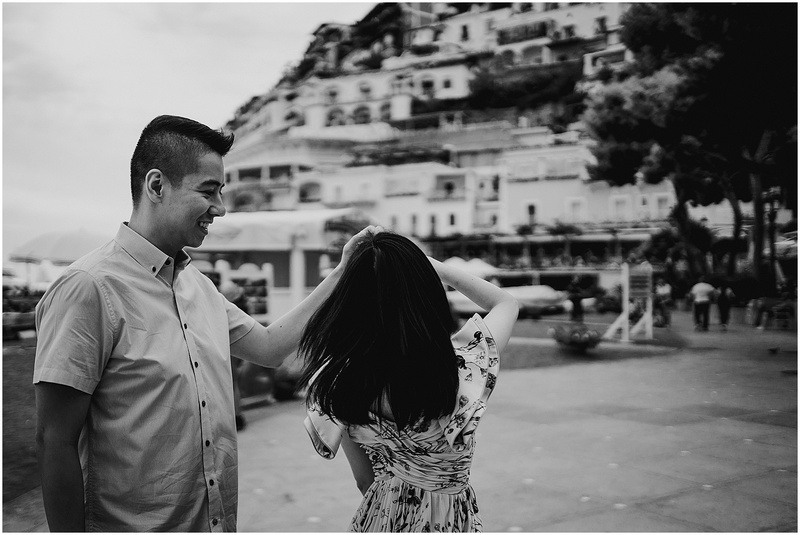 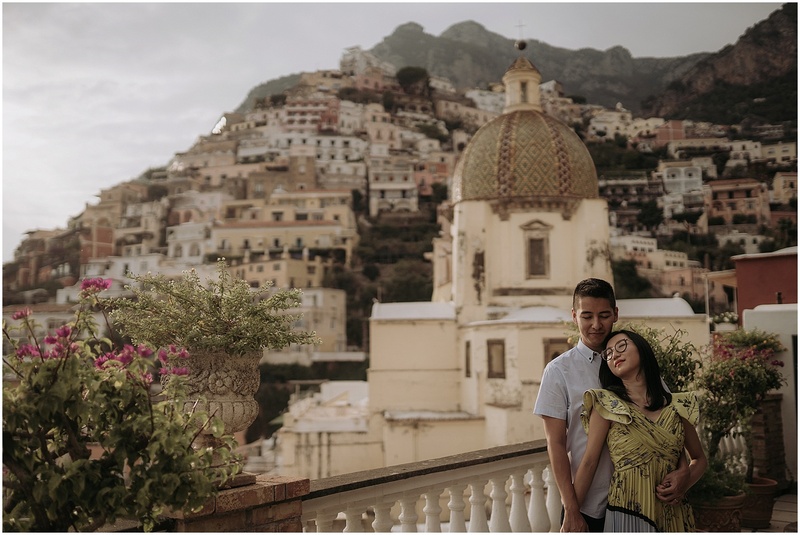 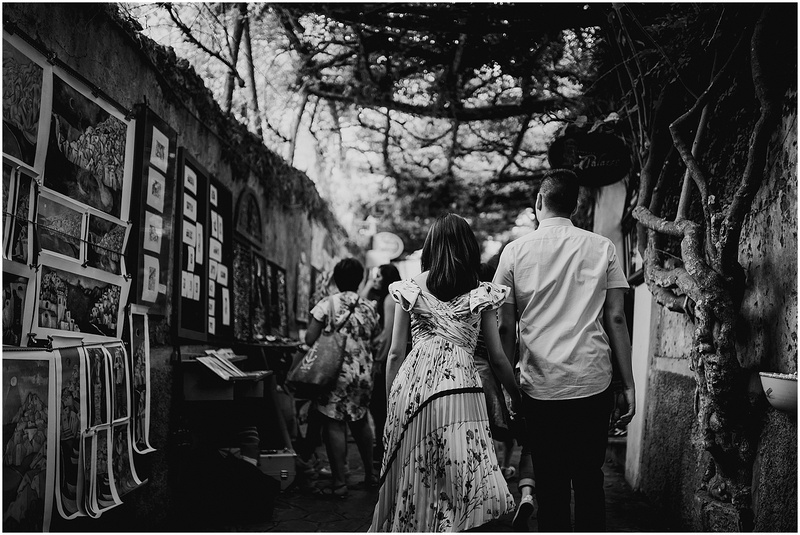 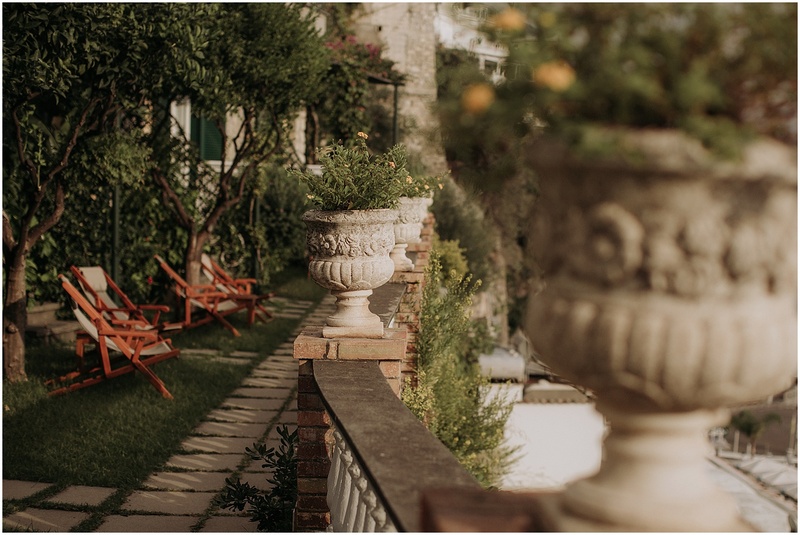 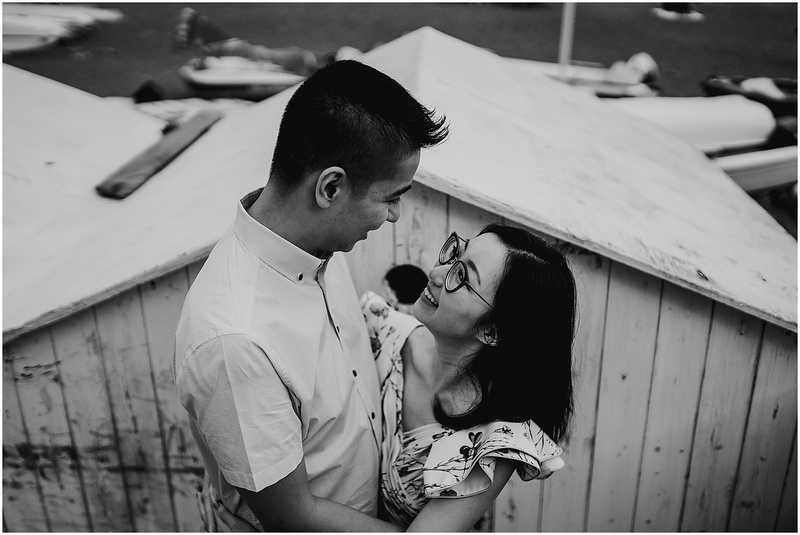 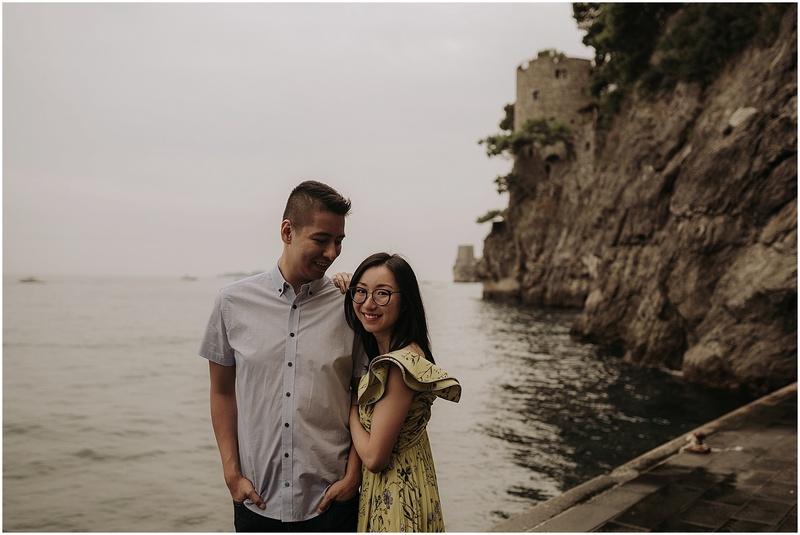 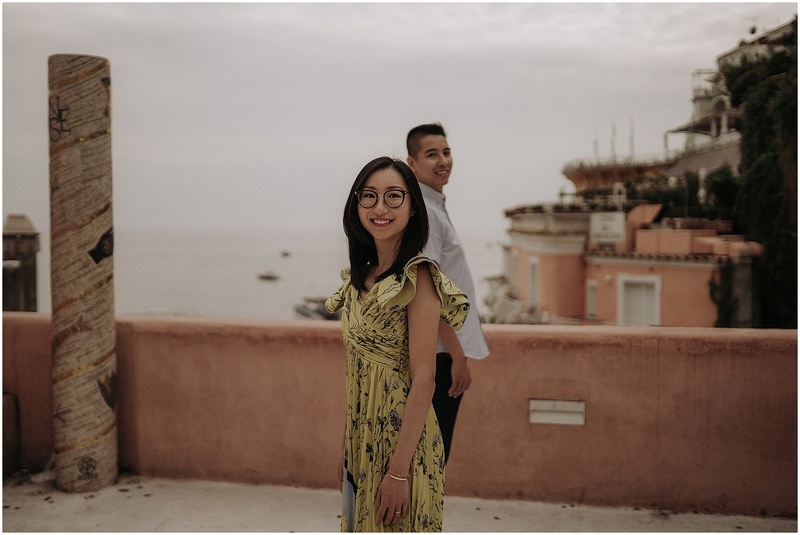 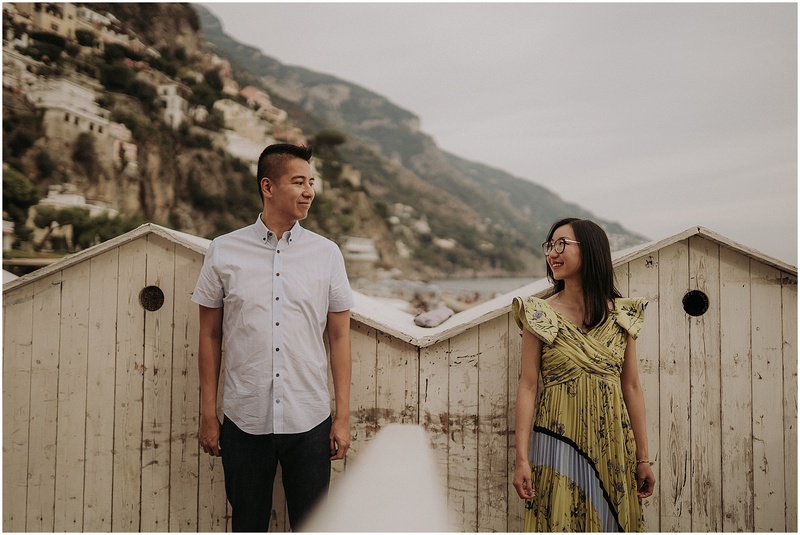 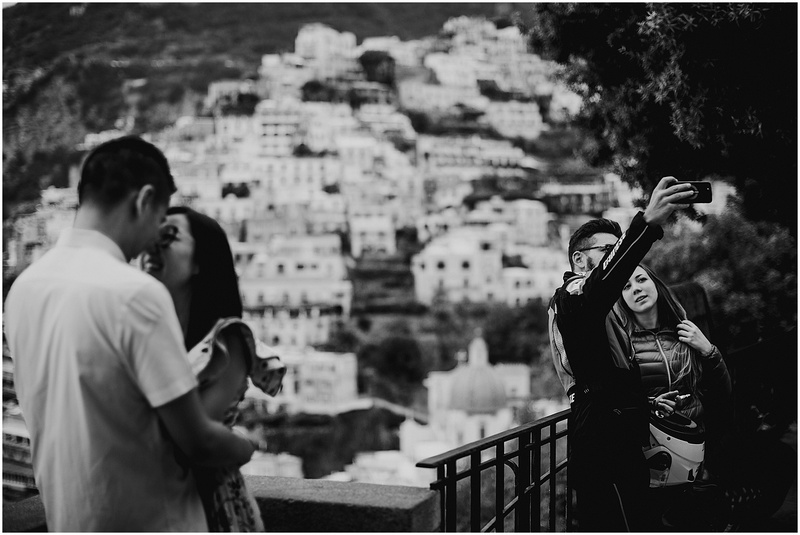 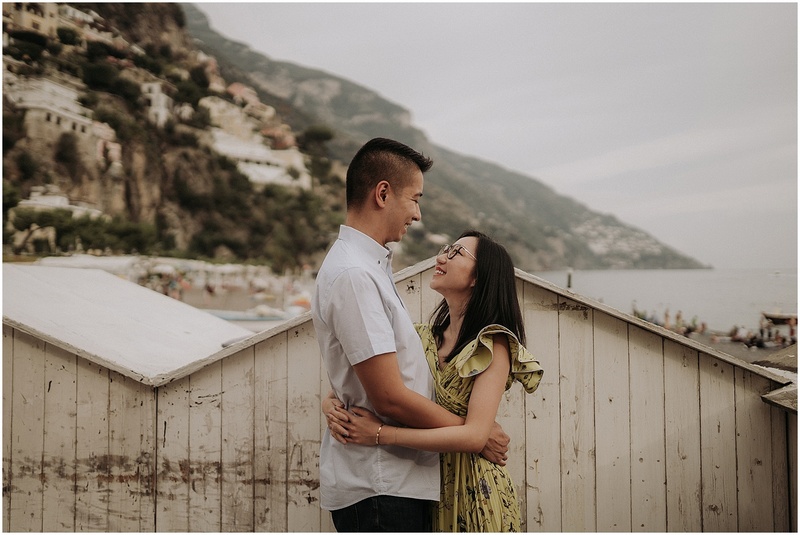 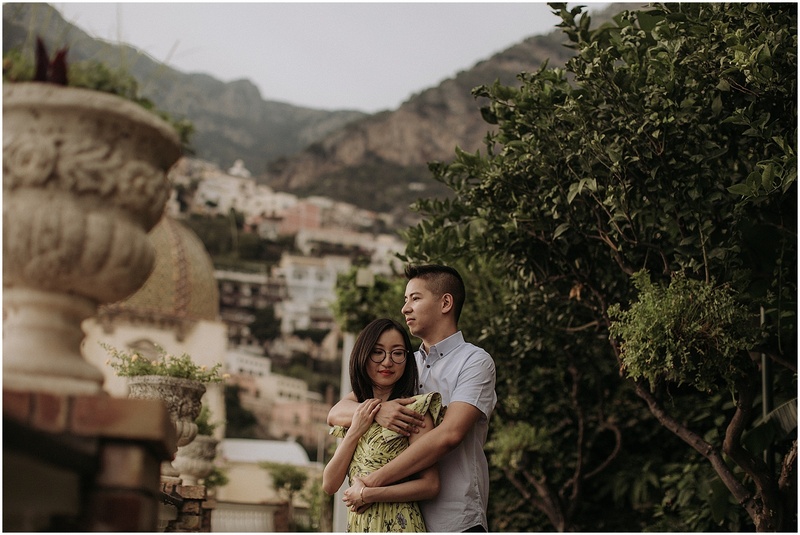 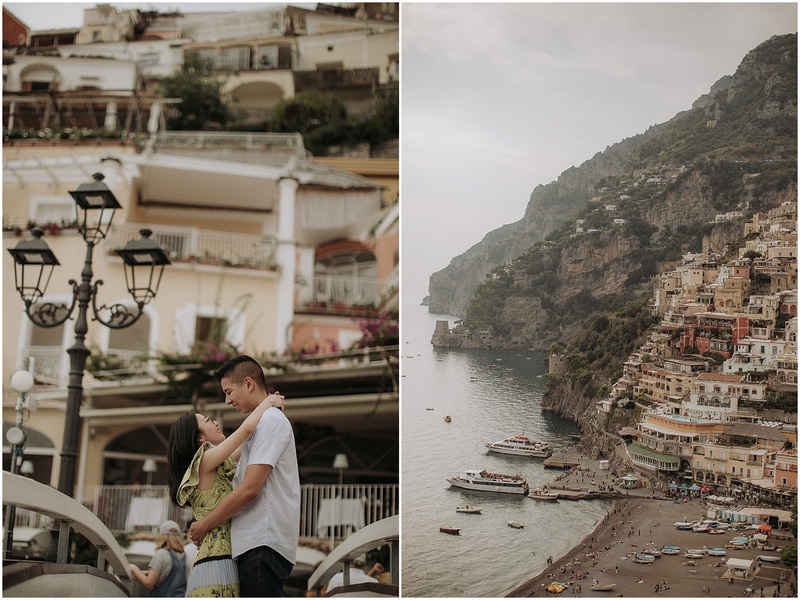 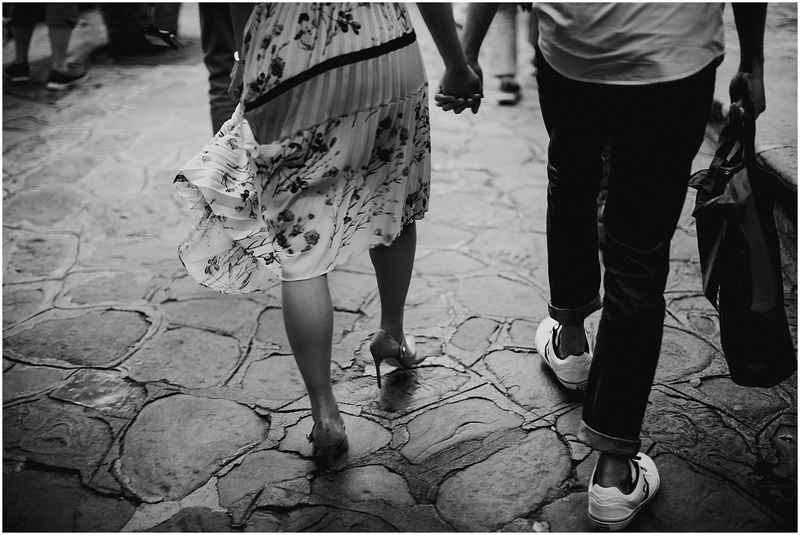 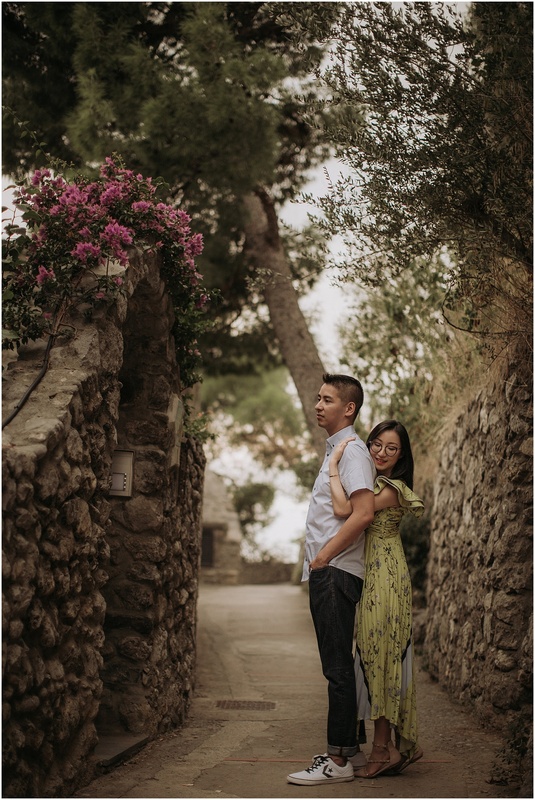 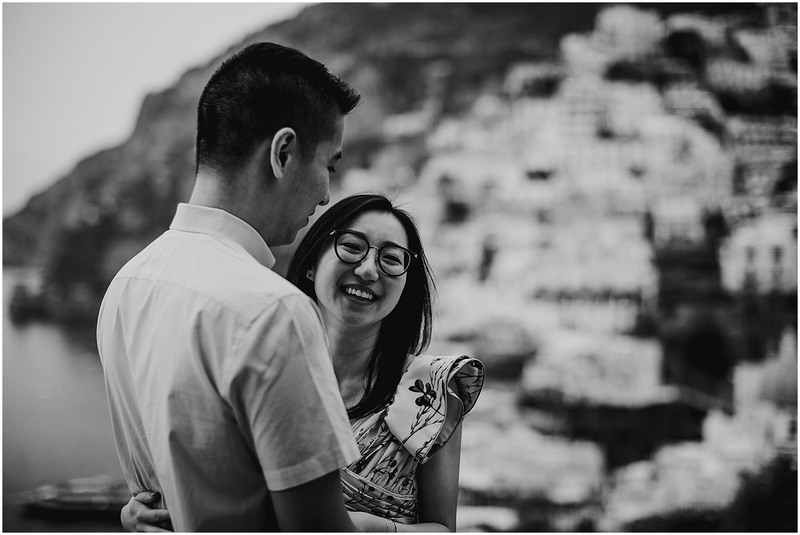 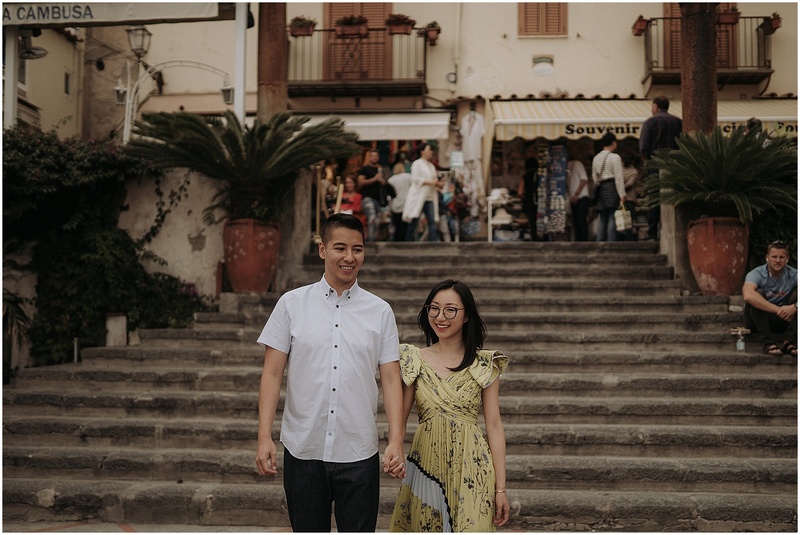 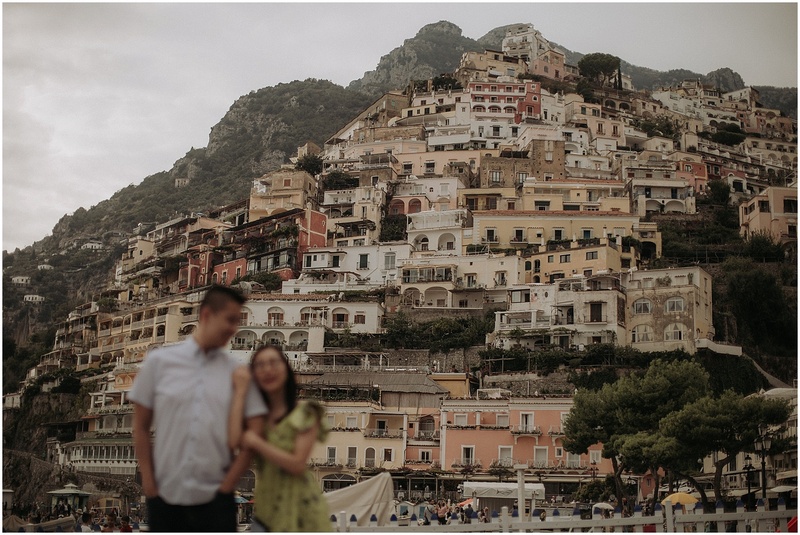 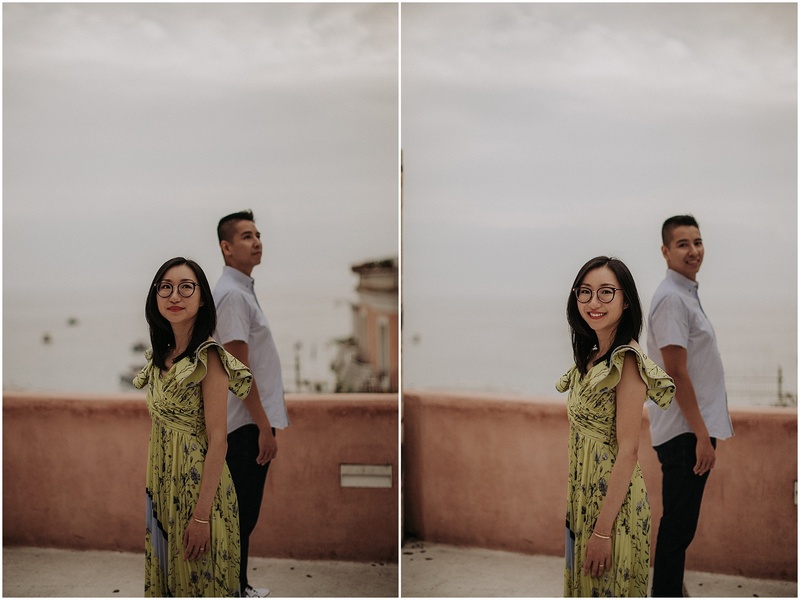 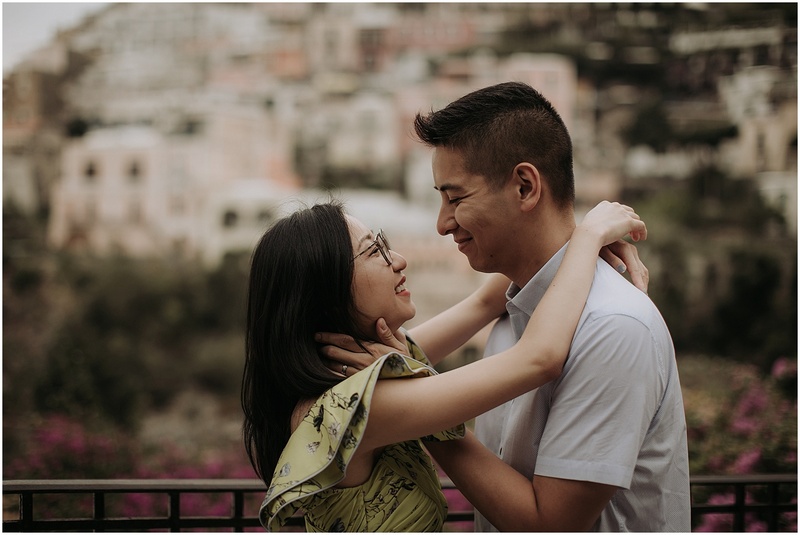 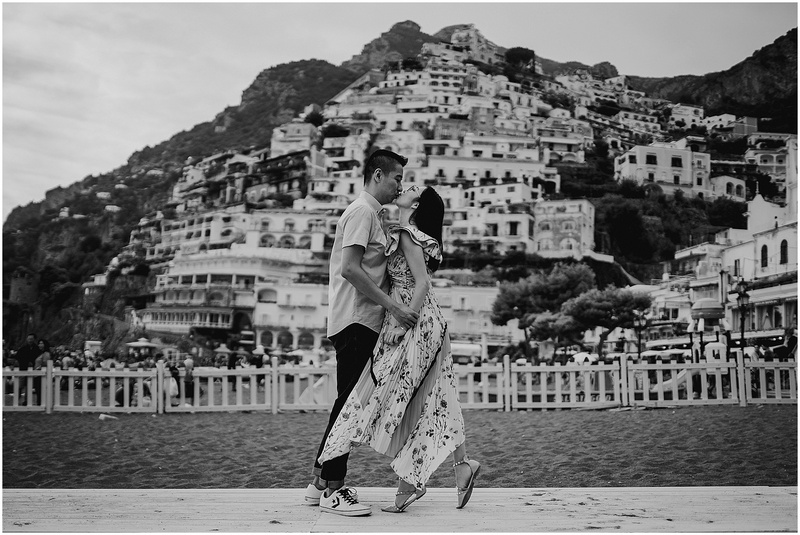 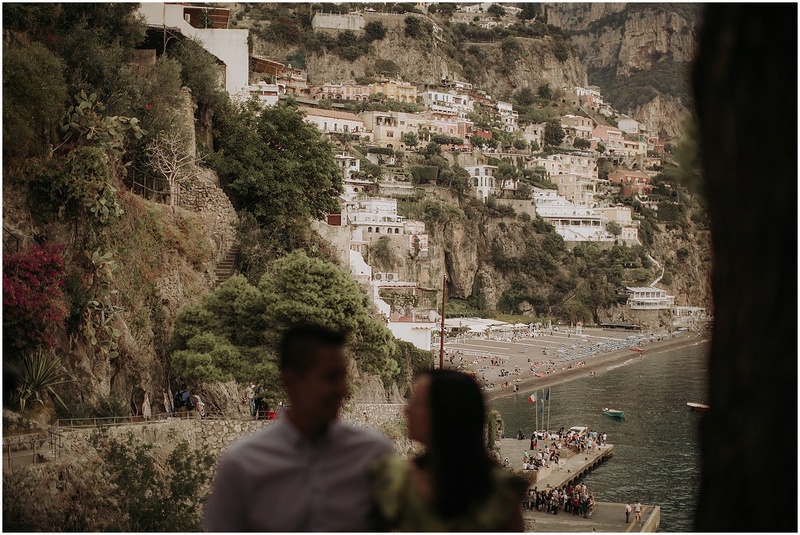 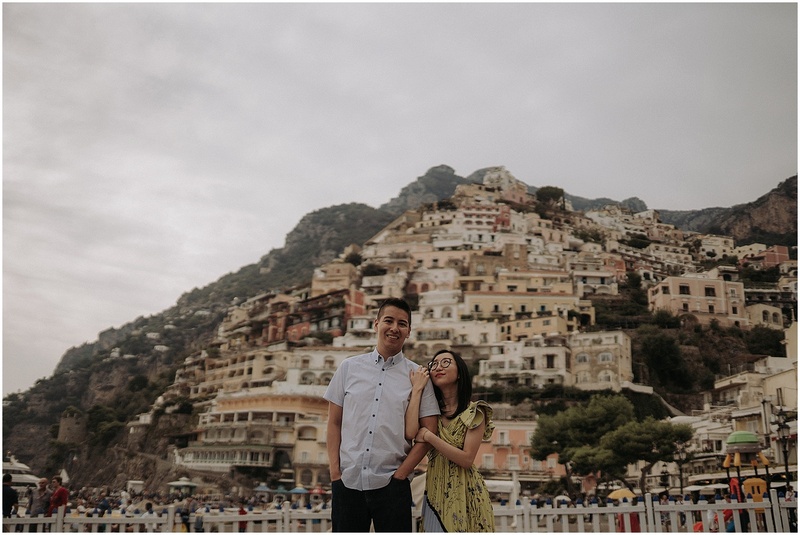 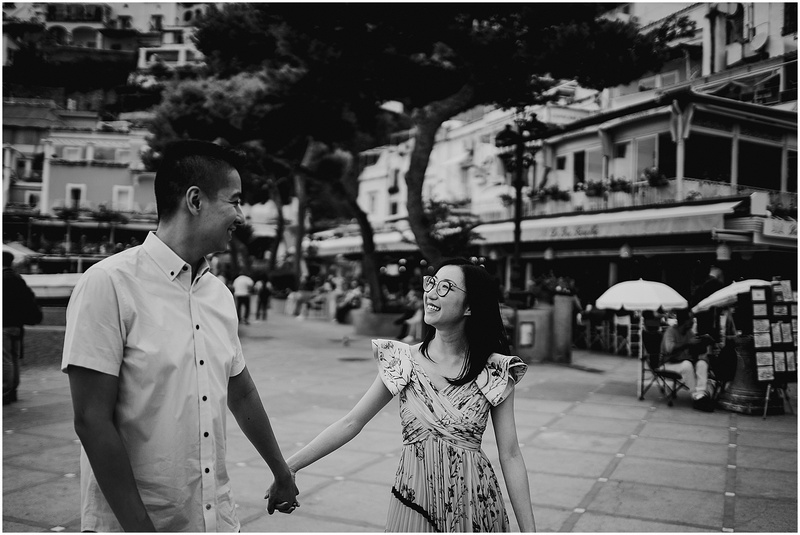 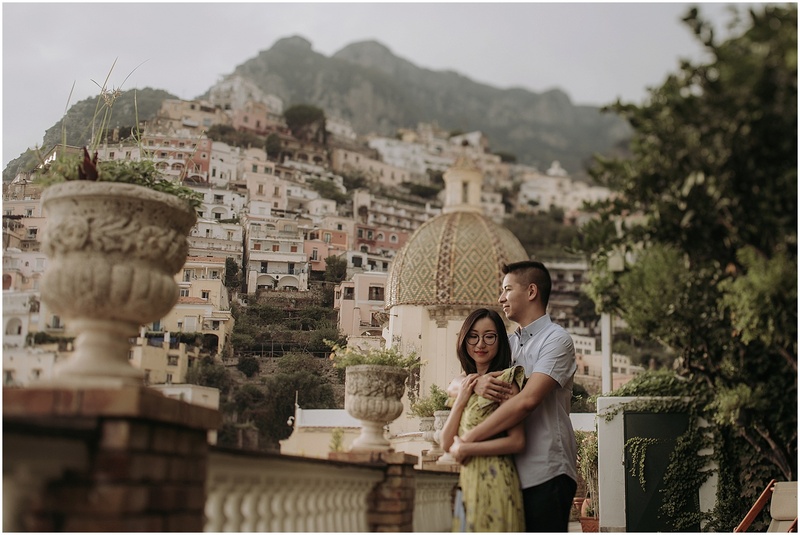 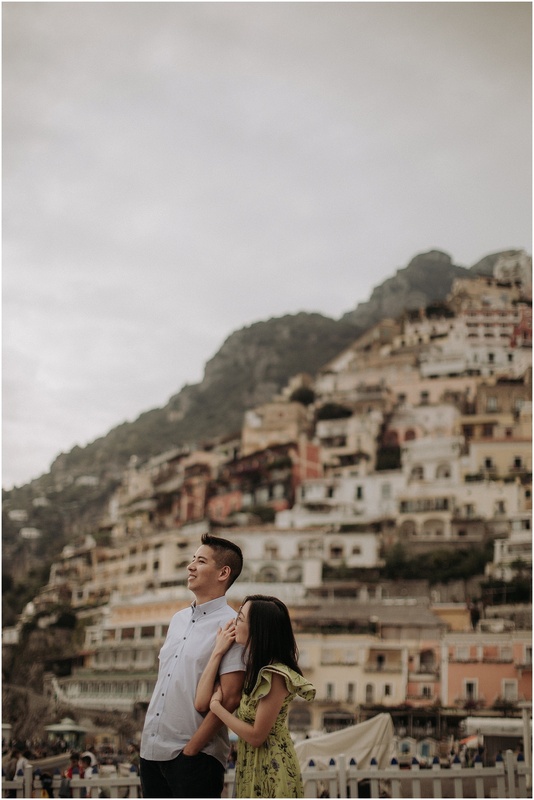 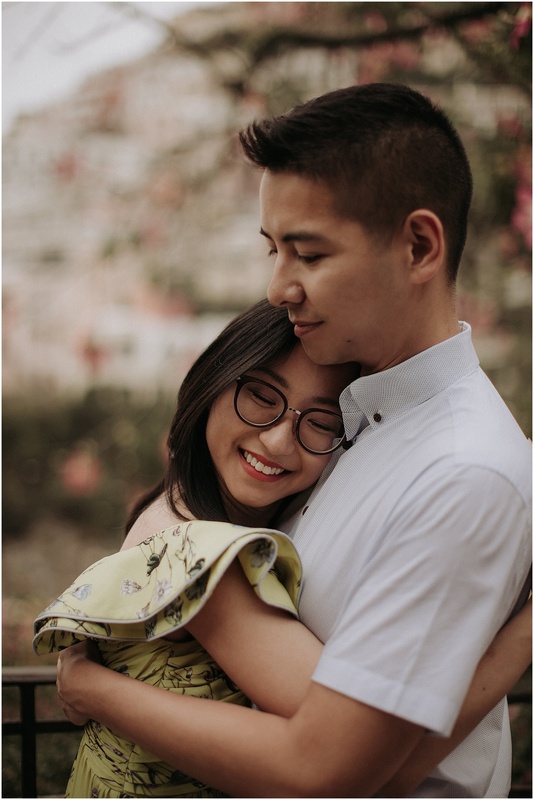 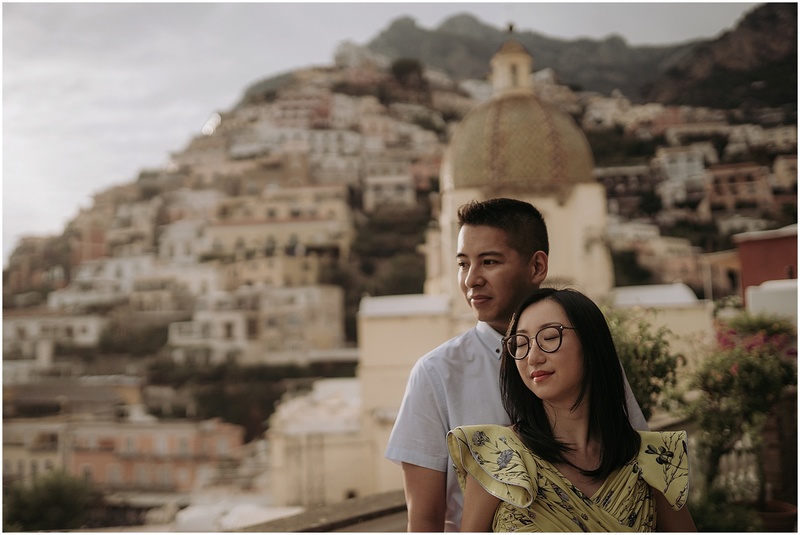 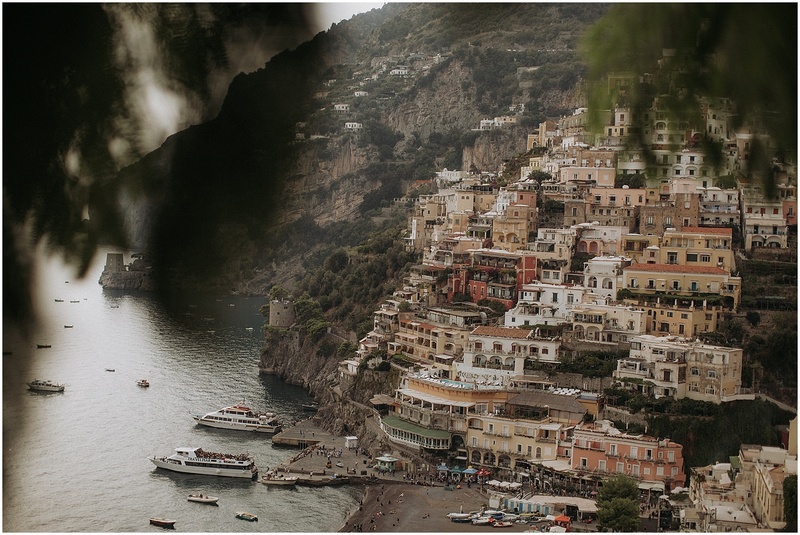 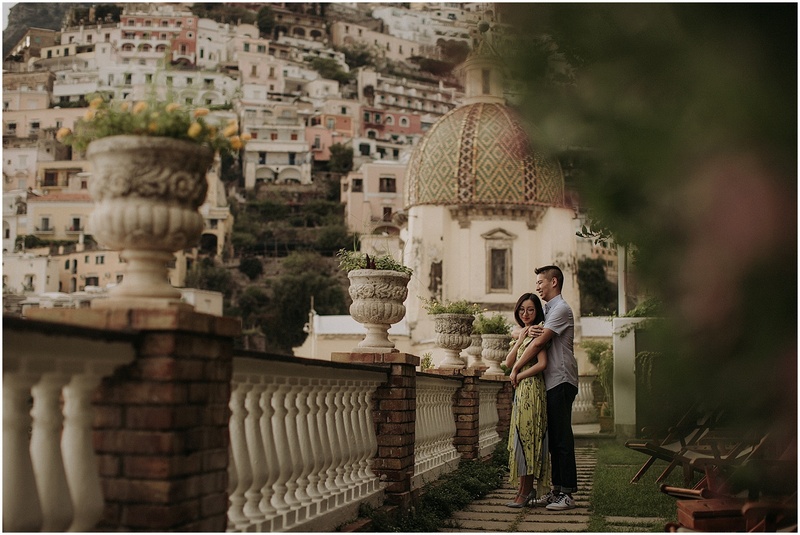 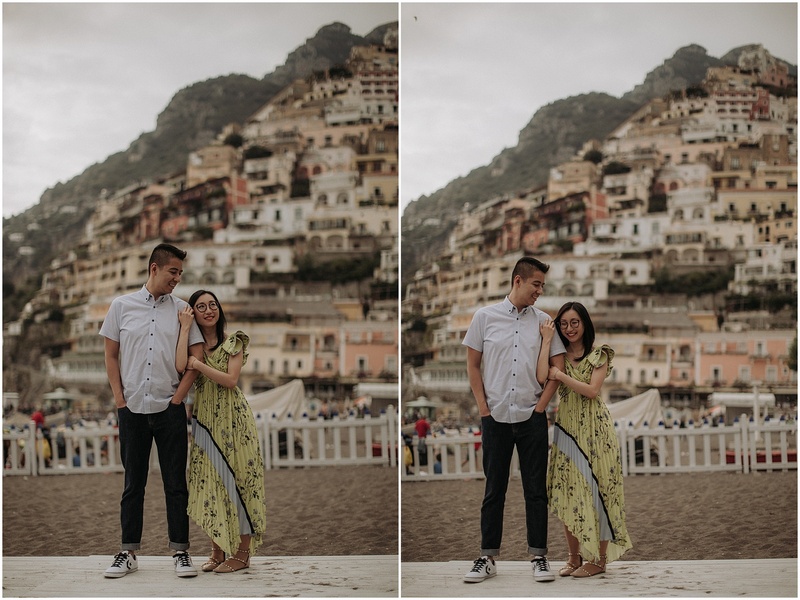 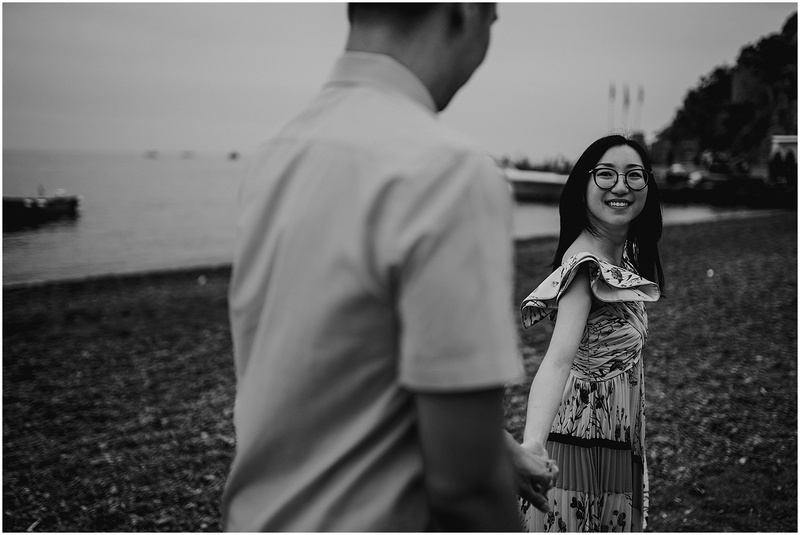 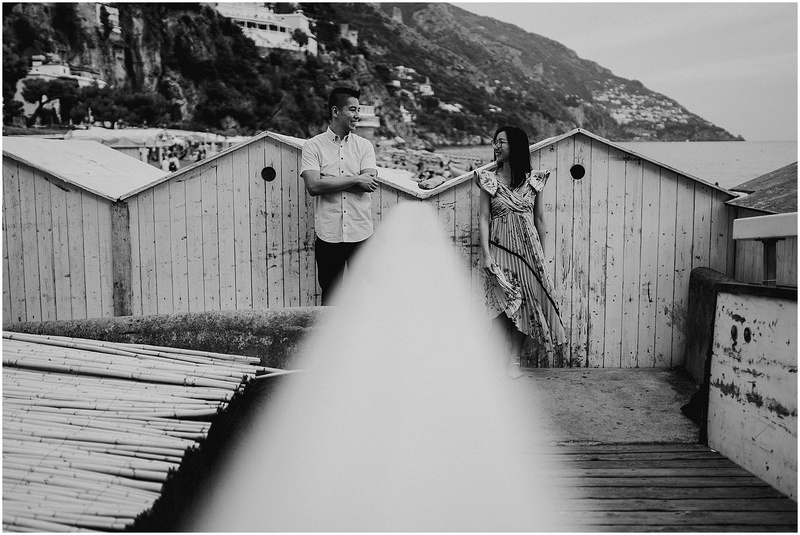 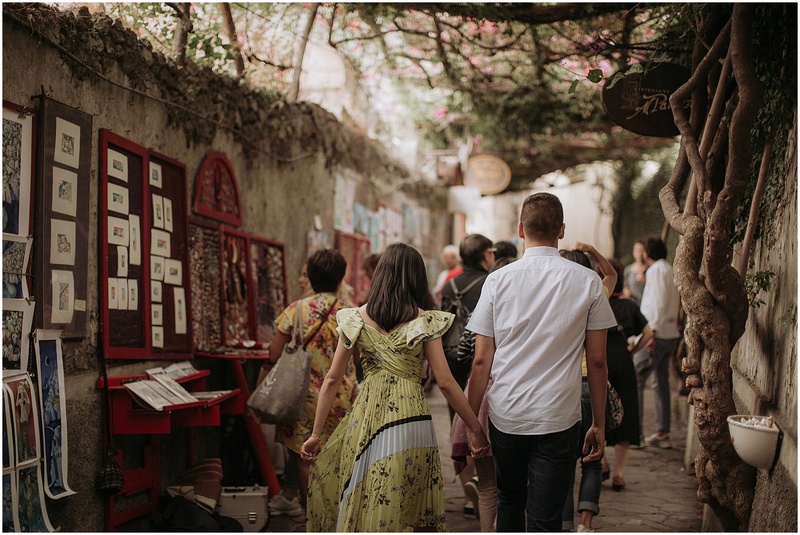 One of the best aspects of our work is that sometimes it leads us to discover new places: for example, this time we have to thank Tina and Carson for bringing us for the first time to the Amalfi Coast, and more precisely to Positano, to realize their couple photo session. 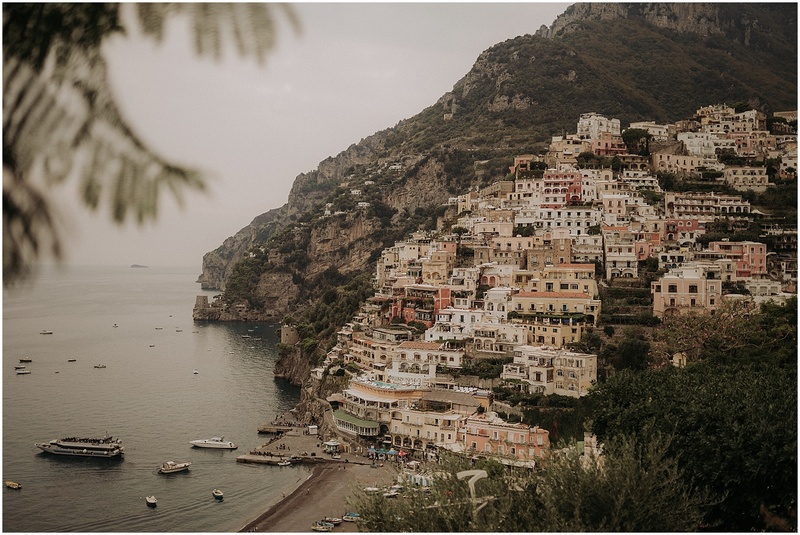 Despite being a popular tourist destination (or perhaps because of that), we had never happened to go there, neither for vacation, nor for work. 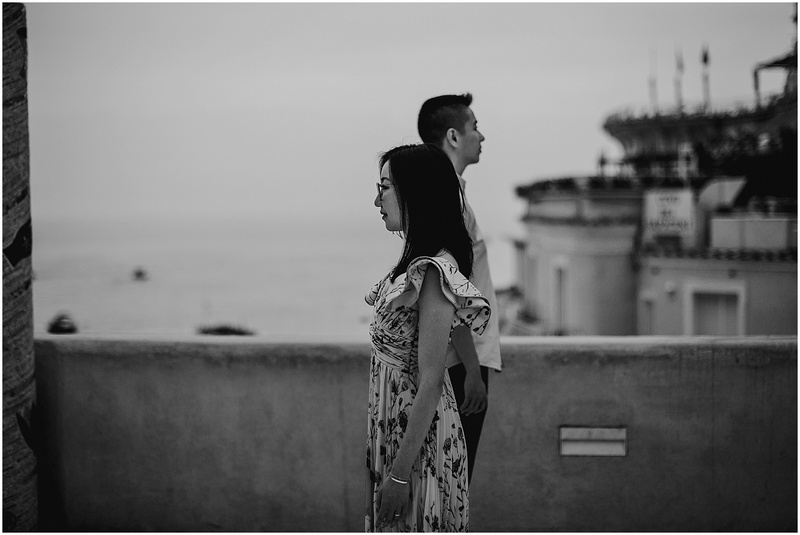 Once arrived, the glance was incredible. 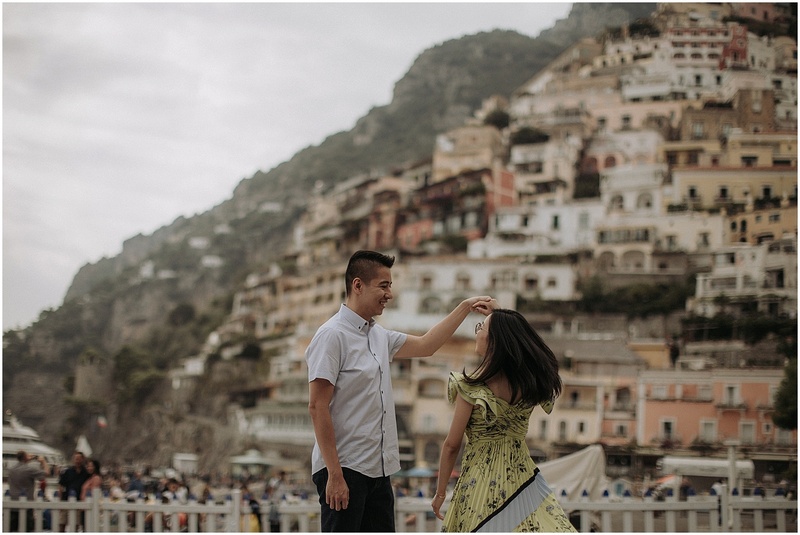 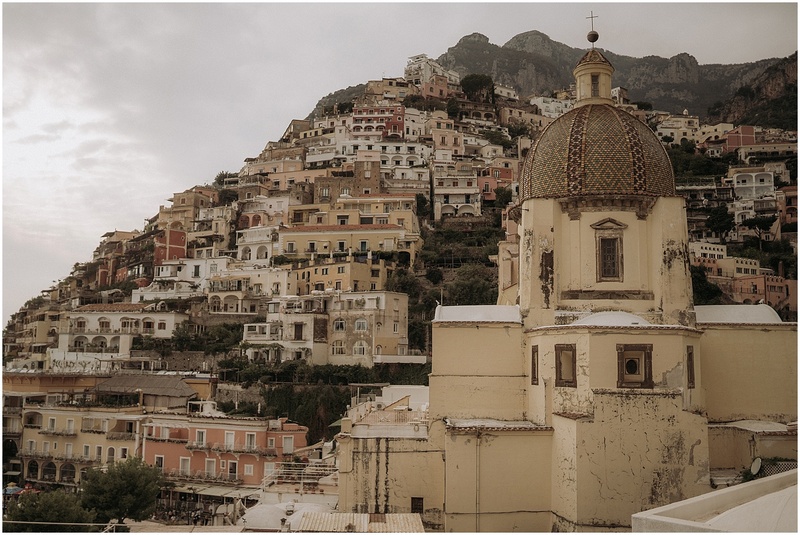 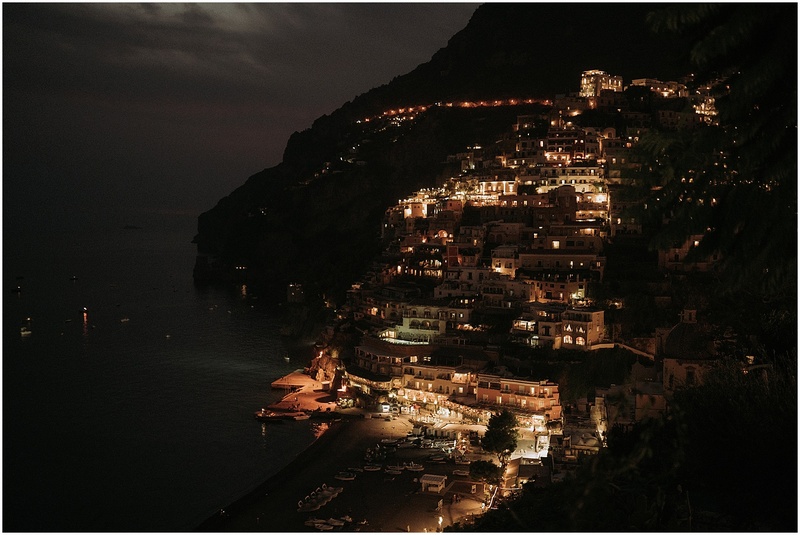 Positano is a living nativity scene, a village perched on the side of a mountain that has its roots in the sea. 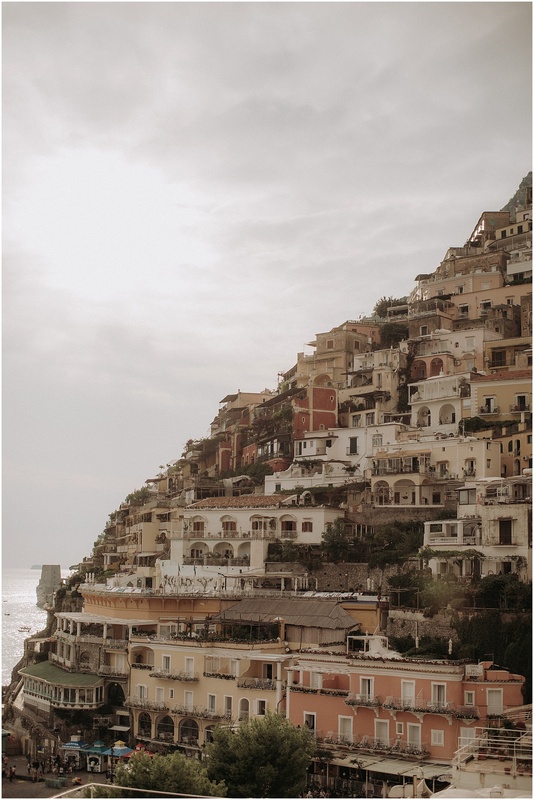 An amphitheater of white, yellow and pink houses dominates the scene, creating an almost surreal panorama. 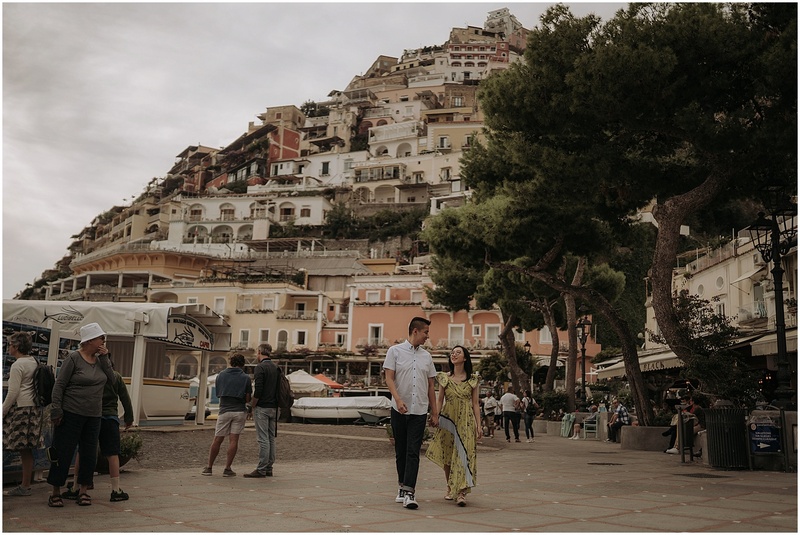 Among all the countries of the Amalfi Coast, Positano is perhaps the most chic and exclusive village. 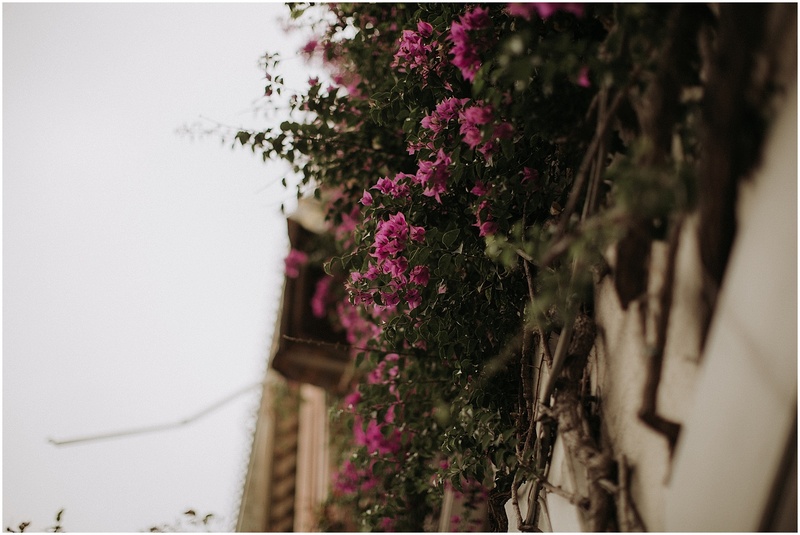 In every alley, restaurant or shop you can breathe elegance without effort and without time.